The Preview Emerging Fashion Talent Awards (PEFTA) is something really close to my heart. Around this time last year, I was lucky enough to be included in this roster of 10. We were the batch that introduced PEFTA, which used to be the annual 10 Designers to Watch For list of Preview Magazine. I remember how I used to be that girl who gets all giddy and excited to buy Preview’s September issue every year, just so I can ogle at the pretty dresses and editorials featuring the 10 designers to watch for. I never really thought I’d one day be part of this list, especially since I’ve only been part of this industry for such a short time. I applaud Preview for constantly discovering new talents and taking a chance on us. As seen on Preview Magazine’s September 2010 issue, my own interpretation of a crystal-inspired design on the 10 Designers To Watch For editorial last year. This year marks the official start of a new tradition. PEFTA is a competition among 10 designers, half of which are graduating students from the country’s best fashion schools while the other half is composed of young designers who Preview has worked with in the last few years. The winner gets to design for Preview’s December/January issue. 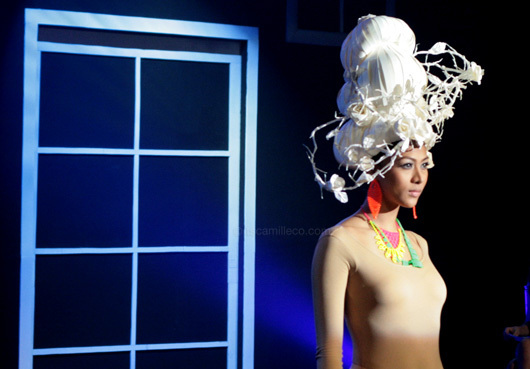 Another winner will be personally chosen by Inno Sotto to show his/her designs at next season’s Fashion Watch. PRESSURE! Jot Losa. Jot was my classmate at the Fashion Institute of the Philippines. I can not be happier with the amount of success he has achieved. Good things happen to good people. Kristel Yulo. If I remember correctly, she used wooden frames for the skirts. Her collection reminded me so much of fairy tales! Xernan Orticio. I LOVE THIS PIECE. Definitely my favorite for the night! His collection is really well-thought-of and edited. I can’t believe he’s only 20! And already with so much restraint! This dress may look simple but those are some complicated patterns right there! Riza Bulawan of SLIM’S Fashion and Arts School. Her collection was inspired by sea creatures. Dan Duran of School of Fashion and the Arts. His collection was inspired by the African safari. A designer friend of mine joked my outfit for the night belonged in his collection–rust-colored pieces + lovely drapes! Can’t get enough of rust! Must have this! Seph Bagasao of Fashion Institute of the Philippines. 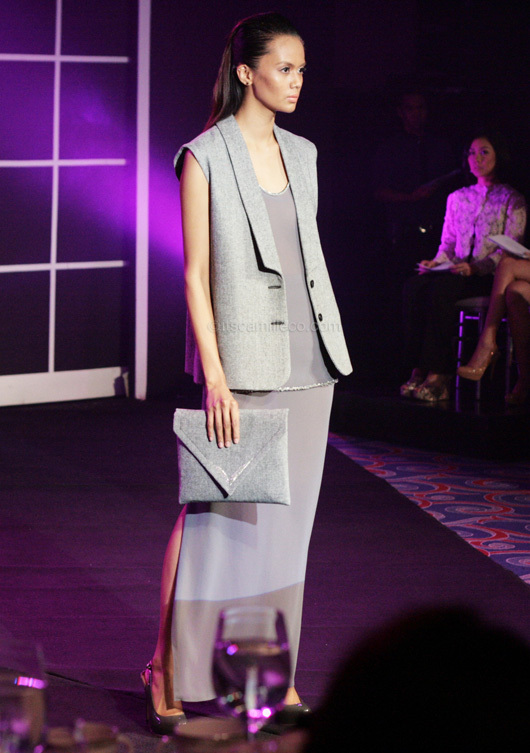 His collection was full of clean lines and straight silhouettes. Look at those shoes! Renz Reyes of Fashion Institute of the Philippines. He made use of a lot of leather for his collection, like this skirt. I’d wear this ensemble in a heartbeat! You gotta love basics with a twist! Erika Adona of SLIM’S Fashion and Arts School. Her collection was fun and young. I like how she made use of fiberglass to add a futuristic feel to her designs. Definitely one-of-a-kind! I’d love to own a fiberglass bustier one of these days! Another favorite of mine. Love the yummy purple fiberglass bustier! And the shape and cut of that skirt too! After the show, Preview Fashion Editor Daryl Chang announced the winner. Erika Adona! I got a little teary-eyed here. It was a touching moment! Congratulations to the winners and to all the finalists of PEFTA! Here’s to a bigger and brighter future!